← It isn’t reform that needed; it’s enforcement! Would a county board of education, Lee County or otherwise, concur with the State legislature’s proposal to wrest control of educational properties from them and trust that responsibility with the respective county boards of commissioners? No, of course they wouldn’t concur. Why should they? The way it is now, each county must buy the land for educational use, build the facilities for educational use, pony up the capital maintenance for property used for educational purposes, and then have to stand by and watch boards of education discard those properties, and demand new properties and facilities every so often. It isn’t hard to comprehend why boards of education demand the status quo while boards of commissioners demand some say in the way properties are managed. There are so many examples of mismanagement in this regard across the state as to make a thinking person wonder why it has taken so long for this question to be raised by the state legislature. Right here in Lee County there are several examples of K-12 education property malfeasance, or at best, mismanagement. Just look at the remnants of these schools- St. Clair, Warren Williams, Bragg Street, Sanford Central, McIver, WB Wicker, and the Jonesboro schools, for example. Think back just a few short years as to what seemed to be forced degradation of the Lee Senior Campus as a justification for building the Southern Lee school complex. New school building plans, school property discard plans, and property management programs in Lee County, alone, justify the Legislature’s proposals. 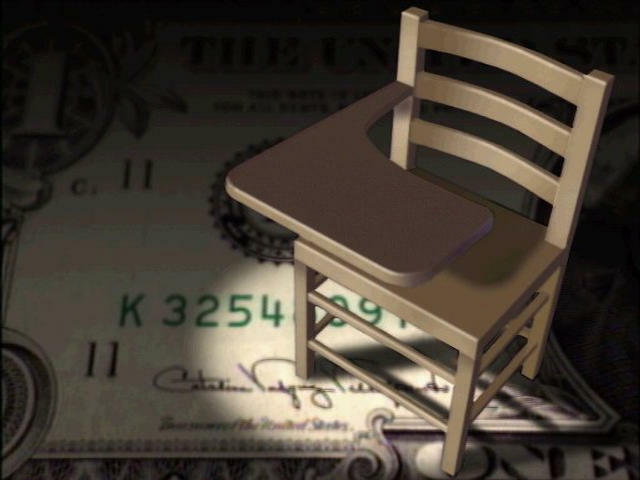 The historic Lee County Boards of Education and their ‘hired man’ superintendents have proven woefully inadequate at the task of property management. It makes perfect fiscal sense to combine county property management under one roof. This would eliminate duplication of supervisory efforts and positions, ensure proper property accountability to the departments that pay for them, and allow the board of education to focus on educational issues and overseeing the superintendent. Oh yeah, it also saves money; another novel idea for the Lee County Board of Education. This entry was posted in Budget, Capital Improvements, Education, NC Politics. Bookmark the permalink. I have often wondered about the buildings scattered around the city that appeared to be old schools and most seemed to be abandoned. I don’t know why but I thought they were owned by the city. So are you telling me that they are owned by the BOE? St. Clair was sold and remodeled into private apartments that are, by all accounts, very nice. Warren Williams is a working campus. Bragg Street is a working campus. Sanford Central, is, uh, a working campus. It’s called Lee Senior, the biggest school in the county. McIver is owned by a private citizen. W.B. Wicker was recently remodeled and is home to many CCCC functions, including their adult high school and dental programs. Your main gripe seems to be that these are old buildings. That doesn’t mean anyone has done anything underhanded. That’s just called the passage of time. Yep there were all of 10 students at Warren Williams last year and Bragg Street had 55. you can call them working campus but I think of them as money pits. I rather like old buildings actually but they can be expensive to maintain. I saw an estimate [i think on the web page of the Tate firm that redid Sanford Central-Lee County High] that a new building would be cheaper than redoing the old building] what the heck it is only taxpayers’ money.